Gallatin Speedway located just outside Belgrade, Montana has been putting on great shows for the fans, and a great race track for the drivers and tonight was no different. Wissota Street Stocks, Super Stocks, and Modifieds were ready to take the track, and everyone was ready to watch great races. Jody Kropp was gunning for three modified wins in a row, Beau Brown was shooting for three street stock victories in a row and Kevin Scott was attempting to get his fourth victory in a row. Would tonight continue these driver’s streaks? 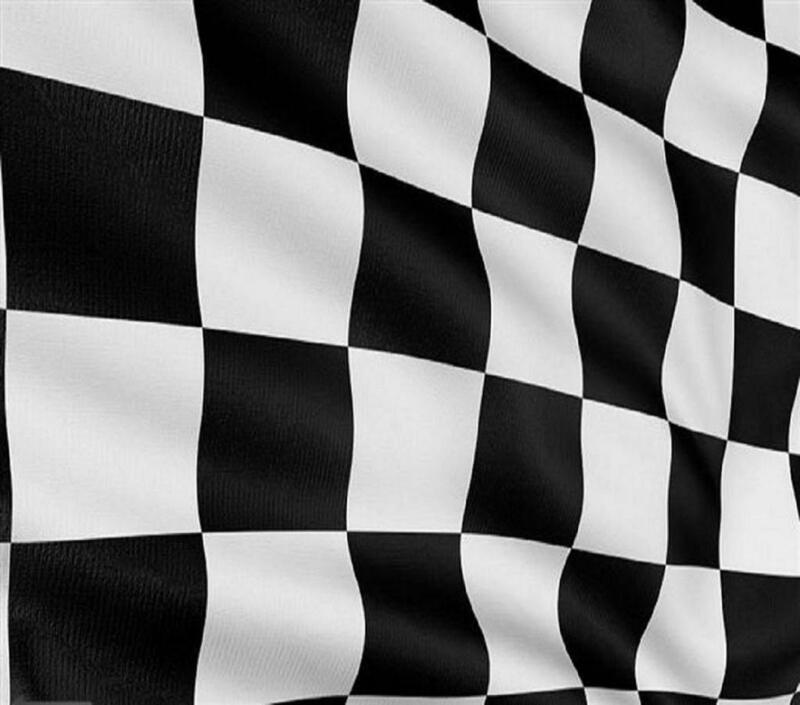 Could someone new possibly take the checkered flag in true under-dog fashion. Wissota Modified racing action was set to begin and Dale Neitzel started on pole with Jeremy Meirhofer to his outside. On the initial start the outside line was flying, and Meirhofer took the lead with Erin Shane right on his bumper. Erin Shane challenged Meirhofer multiple times but each time MEirhofer was just too fast. In fact, everyone was just way wicked fast. A look through the field let you see that nearly every single Wissota Modified was lifting its left front wheel. Tonight was a fast, fast night. The race was immediately down to Erin Shane and Meirhofer, they quickly built an entire straightaway lead. Shane repeatedly challenged Jeremy Meirhofer low but never could get the run. Lapped traffic was looming in front of Meirhofer and he just couldn’t get by. A shred of hope for second and third place drivers Erin Shane and Emory Wells, but just as they caught Meirhofer, he snuck around the lapped traffic. The white flag was in the air and Meirhofer looked to be unstoppable. Jeremy Meirhofer won once earlier in the season by inches over Kasey Brown and Erin Shane but this time it was far greater than a few inches. Jeremy Meirhofer leads wire to wire for his second victory at Gallatin Speedway with Erin Shane in second. Emory Wells had a strong run in third, Jody Kropp’s streak of wins was killed with a fourth place run, and Chad Johnson ran fifth. Erin Shane won his heat race earlier that night. Wissota Street Stocks were next up, with eighteen drivers set to take the green flag, this race would be a doozy. Robert Petroff started in the first position for the first time in his young racing career and wanted to capitalize on this opportunity. Brian Barnhardt started in the second position, and as the green flag waved he took the lead from Petroff and tried to build a lead. Petroff would not give up though, racing three wide with Paul Lease and Nick Hunter for the second position. Nick Hunter got a great run, and grabbed second, then challenged Brian Barnhardt low. The two raced side by side for multiple laps until a caution flag came out. Nick Hunter was ruled the leader and un-surprisingly Barnhardt chose the outside line. Hunter kept the lead on the restart and Beau Brown was now challenging Barnhardt for the second position. In fact there was a hornet’s nest for the front positions between Dwayne Fowler, KJ Hunter, Beau Brown, Brian Barnhardt and Paul Lease. It looked as though the fastest car on the track was Dwayne Fowler, challenging for the second position on the low line and took it. Fowler caught Nick Hunter and was on his bumper when another caution flag came out. The restart held a great battle for the lead between Nick Hunter, Dwayne Fowler, and KJ Hunter But Nick Hunter was strong and kept the lead. The white flag was in the air and it was a battle of the Hunter’s. for the lead. Paul Lease was momentarily making the lead three wide but coming to the checkered flag it was KJ Hunter winning another one at Gallatin Speedway in 2012. Paul Lease edged out Nick Hunter for the second position, Dwayne Fowler ran into the fourth position, and Beau Brown rounded out the top five. KJ Hunter, Dwayne Fowler and Brian Barnhardt won their heat races earlier in the evening. Pat Lamere started on the pole with Bruce Tocci to the outside for the Wissota Super Stock feature event. Kevin Scott won his heat race earlier in the evening but as he crossed the finish line his motor blew, killing his dream for a fourth feature event win in a row. But the show must go on, and Pat Lemere put on a show taking the lead on the green flag with authority. Chad Bykonen had a great run last week and was looking to run great again this week battling with Emory Wells in the second position. Bykonen took the second spot and challenged Lamere low but held him at bay. Chad Bykonen was running good but a momentary slip up let Emory Wells and Jeremy Meirhofer by for the second spot. Emory Wells looked like he was shot out of a cannon, and took the lead from Lamere on the low line. That opened the door for Meirhofer and he took the second spot. Bruce Tocci was running strong in the third position, but the lead battle was down to two, Emory Wells and Jeremy Meirhofer. Just as I say that Carmi Wells ran down the top 2 cars and challenged Meirhofer for second. There was hard contact between the two drivers and that sent Jeremy Meirhofer hard into the wall, perhaps ending his night. Meirhofer took the second spot back, but on the green flag was unable to capitalize. Bruce Tocci was now in the second spot and beating on the back bumper of Emory Wells. The white flag was waving and Bruce Tocci was giving it everything the 2c car had. The checkered flag waved and Emory Wells would win in the Wissota Super Stocks, in a car that had a huge “FOR SALE” sign. Nice advertising. Bruce Tocci ran in second, Ty Clemens raced his way to a third place run, Carmi Wells rebounded for fourth and Cal Rossner returned to Gallatin Speedway with a fifth position finish. Kevin Scott and Jeremy Meirhofer won their heat races. The races were over, the win streaks were dashed, and everyone was excited for next week. Next week holds the winged sprint cars, and every time they come to town, the stakes are higher and everyone pushes just a little bit harder. Join Gallatin Speedway next week, and for more information look at the new website, Gallatinspeedway.com, thank you for reading!